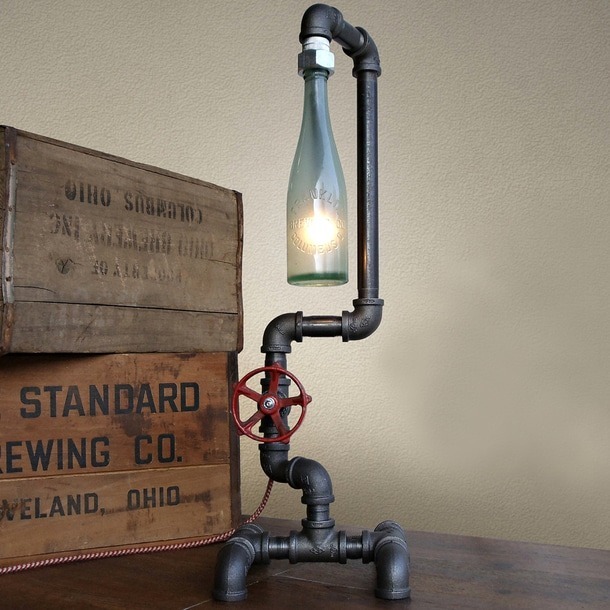 Whether you’re a beer nerd, design buff, or both, this Fuse Industrial DIY Pipe Lamp from Peared Creation will tickle your fancy. Its diffuser consists of a pre-prohibition era beer bottle, which has been sandblasted on the inside to facilitate a warm, inviting glow. The piece attaches to an iron pipe base with industrial-style couplings, and switches on with a twist of its vintage faucet handle. Want to know more about the vessel’s origins? Each fixture includes a tag that details the history of the brewery it came from, and web links for further investigation. To conclude: great rustic vintage lamp! 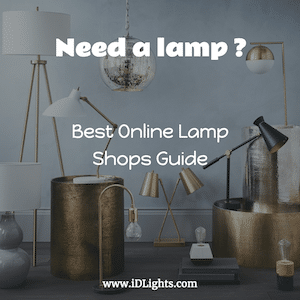 If you want to know how to make a pipe lamp, look at this post.